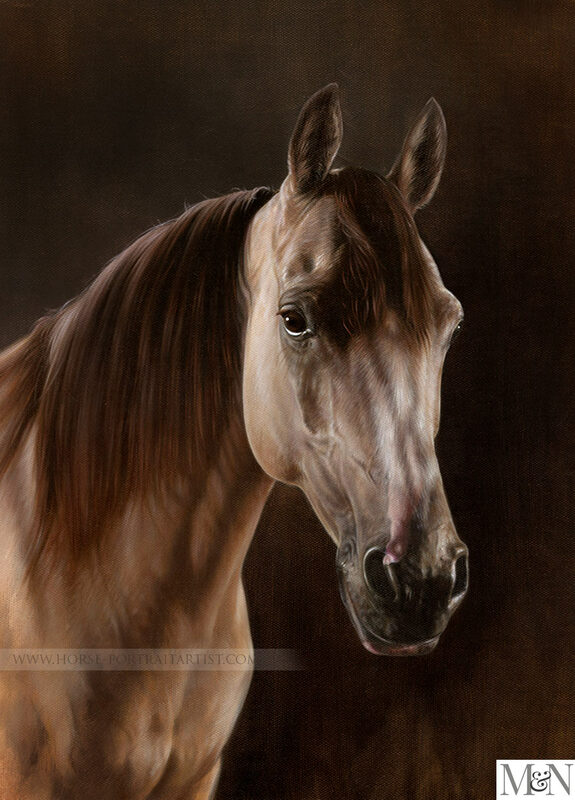 Nicholas Beall specialises in painting horse portraits and this horse painting in oils of Remy is simply magnificent. We love working with returning clients and Marianne commissioned us a fourth time to paint this stunning oil painting of her horse to go with her other three. Nicholas traditionally hand paints the oil paintings from clients own photos from his art studio in the heart of rural UK. 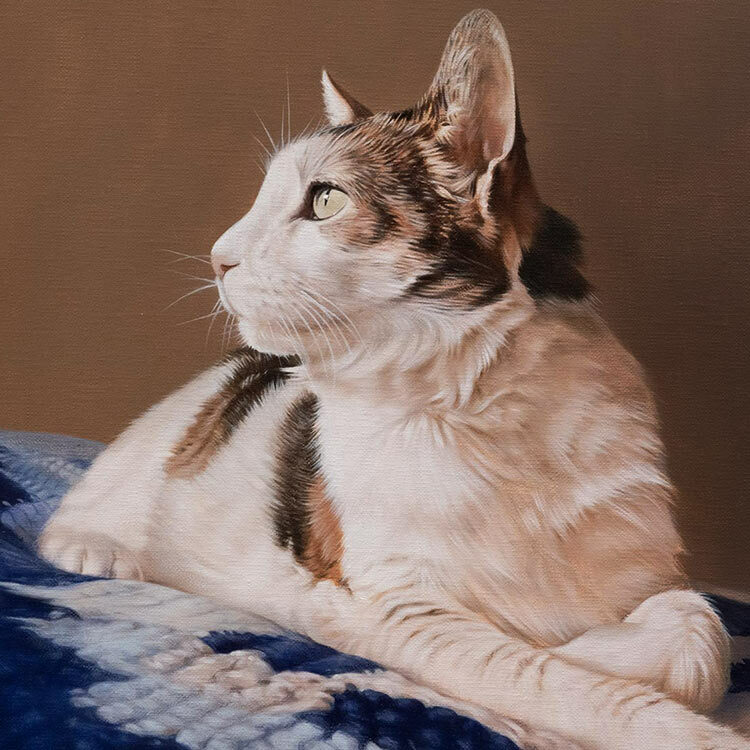 Why not scroll down to see many more wonderful photos of the oil painting of Remy and we would be absolutely delighted if you would share our page using the buttons below! 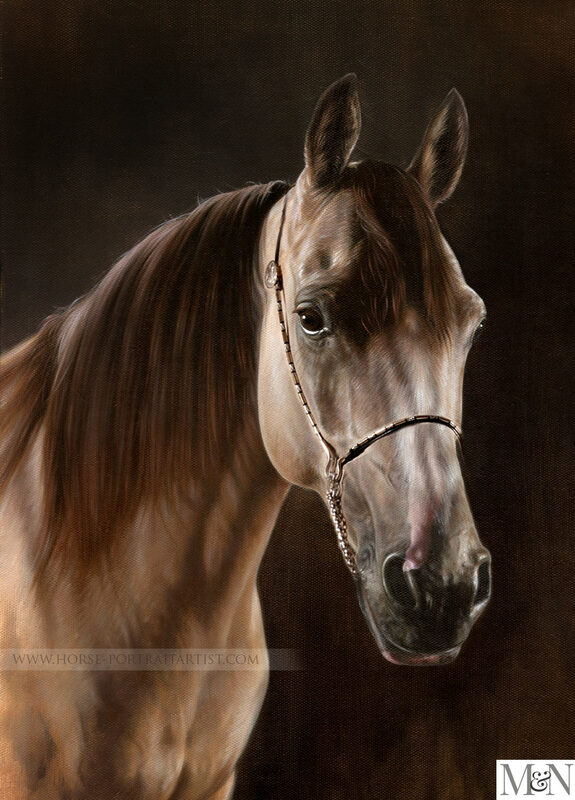 Marianne (Canada) is a returning client and this will be the fourth oil painting that she has commission of her beautiful and stunning horses. This horse is called Remy and Marianne had some stunning photos taken of Remy that we could use for the painting. If clients have access to a professional photographer, or even an amateur photographer that can take photos specifically for the commission, this really does make the world of difference to the outcome of the painting. There are many ways of accessing a good photographer in your area, visit social media and look for professional or practicing ones who live near by. Student photographers will always be willing to help out for the practice. Remy’s oil painting was created at 18 x 14 inches on stretched Italian Linen canvas and was traditionally hand painted by Nicholas Beall. As you can see in the reference photo on the left the photo of Remy was taken without a halter, and this is how Nicholas initially painted the portrait of Remy. however when Marianne saw the final painting via email she realised that all of her other paintings depicted her horses with decorative halters. So Marianne asked if it would be possible to add the halter using another photo as reference. This was possible as the second photo was take from the same angle. You can see the final painting of Remy above, plus the one without the halter below. What a busy season we've had. I finally had some time to go through some emails and realized I hadn't yet let you know that the painting arrived and it's beautiful. It's really a very real portrait of Remy, it looks just like him. Thank you both again for doing such a great job. Nicholas would love to hear from you if you are interested in commissioning a horse portrait in oils. We hope you have enjoyed viewing the oil painting of Remy and if you have photos suitable for a painting why not email them to us today. 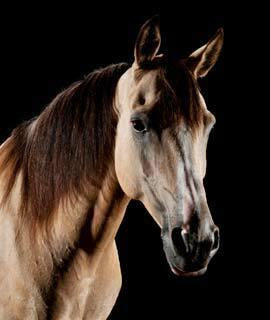 You can contact us any time by visiting our Horse portraits contact page.